BOSTON -- A Massachusetts 6-year-old's love of sea turtles prompted him to skip his birthday gifts and ask instead for money he could donate to sea turtle rescue efforts. 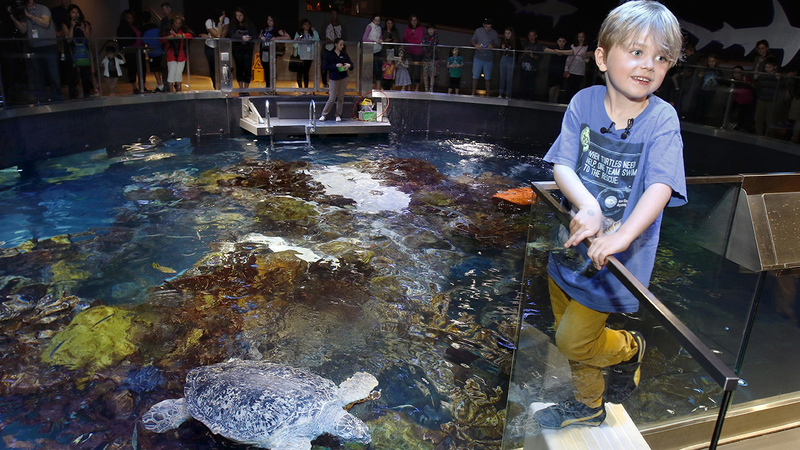 Jasper Rose of Watertown raised $550 for the New England Aquarium's sea turtle rescue program. On Friday, to mark Earth Day, the kindergartener will present the donation to the aquarium's president and CEO, Nigella Hillgarth. An aquarium spokeswoman says Jasper is a frequent visitor to the aquarium with his family, and he knows all the names and stories of the sea turtles that live there. He recently visited the sea turtle hospital in Quincy with a family friend, and has also written and illustrated a 10-page book about a sea turtle's adventure.